In Ontario, Trilliums blanket the forest floor each spring. The letter T at the end of a word of French derivation is usually silent. The letter T may be silent when it follows an S or an F.
The T may or may not be pronounced, depending on the dialect. The letter T may be slurred or silent when it precedes the digraph CH, depending on dialect. The letter T may be slurred, or in some dialects silent, when it is in the middle of three consonants, most often at the end of a word. The preferred pronunciation includes a t-sound. The letter T may be slurred or silent in rapid speech. The digraph TH is slurred or silent in some dialects. In some dialects, TH is silent at the end of a word where the digraph is in the middle of two consonants, but the preferred pronunciation includes a th-sound. You forgot your thaddle, thilly. 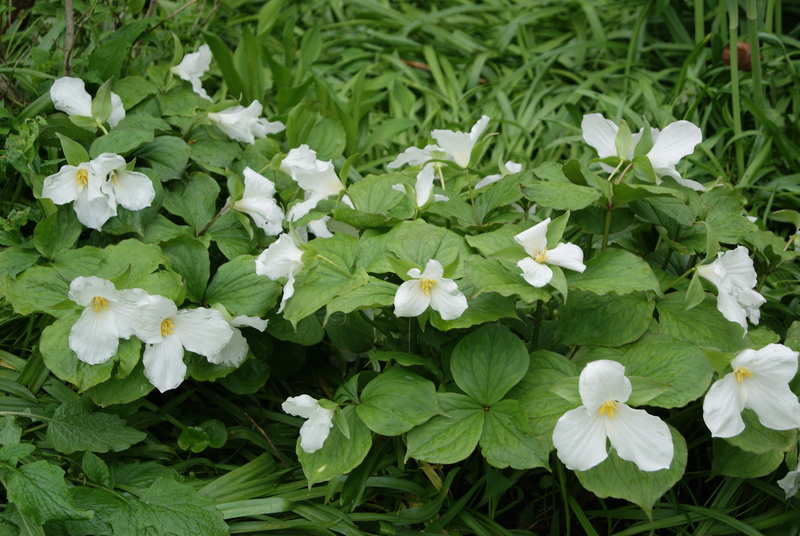 The Trillium is the official flower of the province of Ontario, Canada. It grows from a small bulb which gains nourishment from the leaves. If you pick a Trillium, you kill the plant.